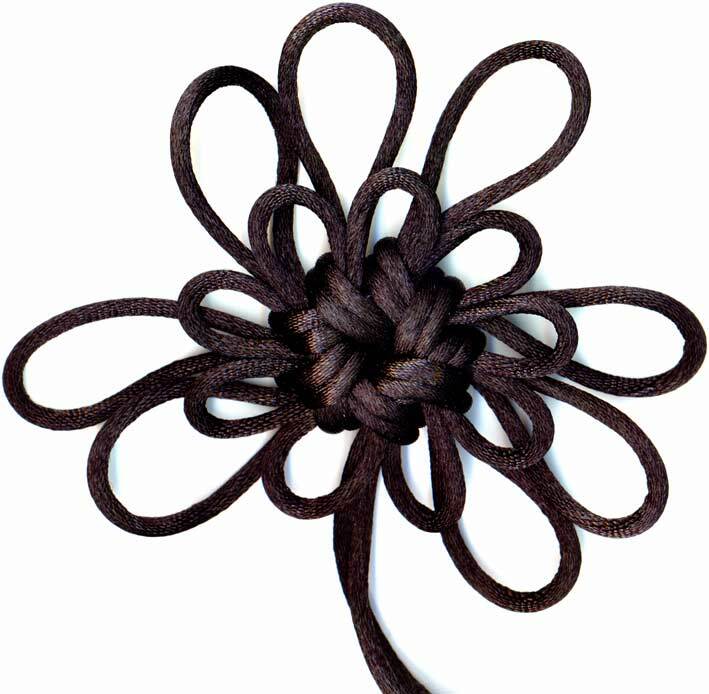 So, to make this knot I used a paper template. If I was carrying around my hole puncher like I sometimes do, I could have made a 9 holed template, but all I had was my scissors (and some paper), so with a casual folding attitude, I made a 12 holed template. Picked 9 of the biggest holes (sometimes folds that were on an inner layer don't get cut as well as the outer layers) to pull my loops through and crowned away. Similarly, my heptagonal good luck knot was constructed using a template with 8 holes. I used an overlap of 3 for this knot and the structural centre is visibly much thicker than the previous knots.